Photo Adapter used to connect the Hawke Endurance ED scope range (HT3803 & HT3805) to a Digital SLR camera. 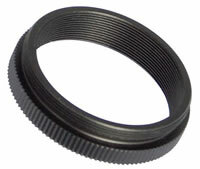 A T2 camera adapter (see bottom of page) is also required in order to fit to your type of camera, i.e. Canon, Nikon & Pentax etc. Photo Adapter used to connect the Hawke Nature-Trek ED scope range (HT3695, HT3696 & HT3697) to a Digital SLR camera. This solution can be used when using a Zoom Eyepiece. A brilliantly simple piece of engineering that allows you to mount most digital compact cameras over the eyepiece of a telescope, spotting scope, microscope or binocular and take pictures through them. 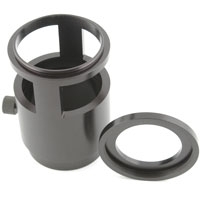 The adapter fits most eyepieces smaller than 45mm diameter. The platform that holds the camera can be moved north/south and east/west to enable the lens to be centered over the eyepiece. The platform has two positions for the camera to be mounted, one to the left and one to the right that allows most compact cameras to be used withn the adapter. Digi Scoping is great fun, the results are excellent, and its very easy to do, enjoy! 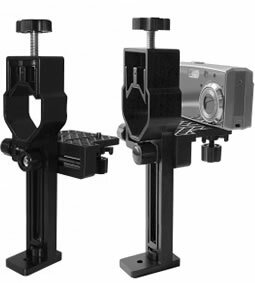 T adapter mount allows a Canon EOS SLR & DSLR body to be mounted on a Photo Adapter to take photographs using eyepiece projection, taking full advantage of the zoom capabilities of the eyepiece. 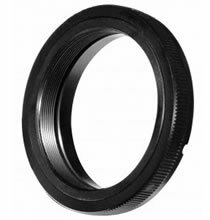 T adapter mount allows a older Canon models (Pre EOS) SLR & DSLR body to be mounted on a Photo Adapter to take photographs using eyepiece projection, taking full advantage of the zoom capabilities of the eyepiece. T adapter mount allows a Nikon SLR & DSLR body to be mounted on a Photo Adapter to take photographs using eyepiece projection, taking full advantage of the zoom capabilities of the eyepiece.